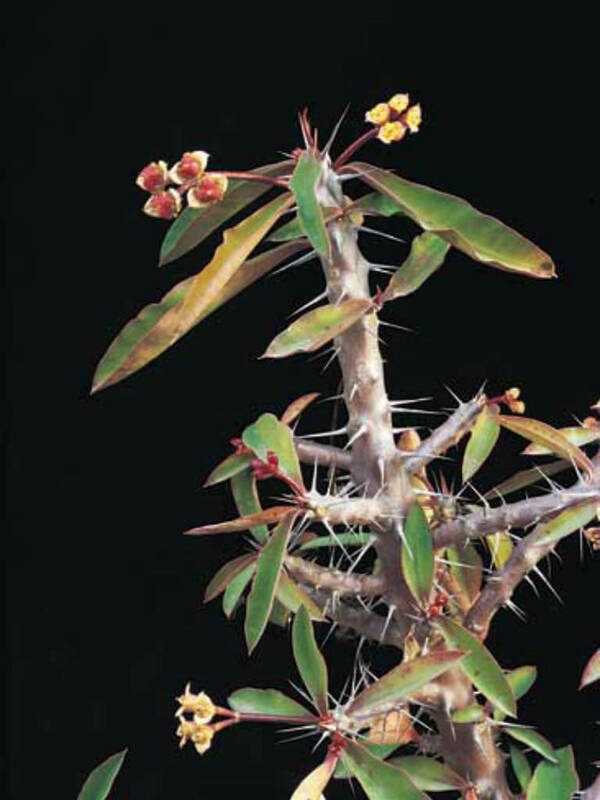 Euphorbia milii var. roseana is a spiny, deciduous, succulent shrub up to 3 feet (90 cm) tall, with upright branches. 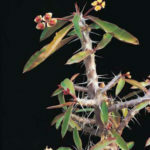 The leaves are found mainly on new growth and are obovate, up to 3.6 inches (9 cm) long and 1 inch (2.5 cm) broad. This variety is distinguished by its diminutive creamy-yellow or pink-flushed cyathophylls. 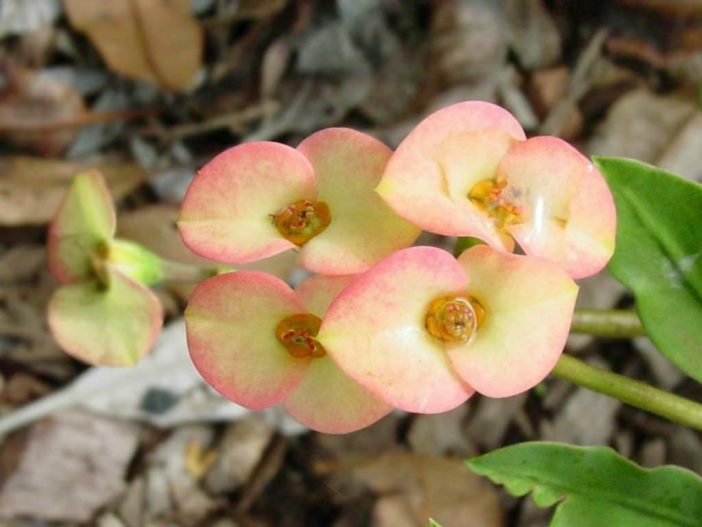 Crown of Thorns does well in even the poorest soil, provided it is well-drained and does not remain moist. It prefers a location in full sun but will tolerate some shade for a portion of the day. 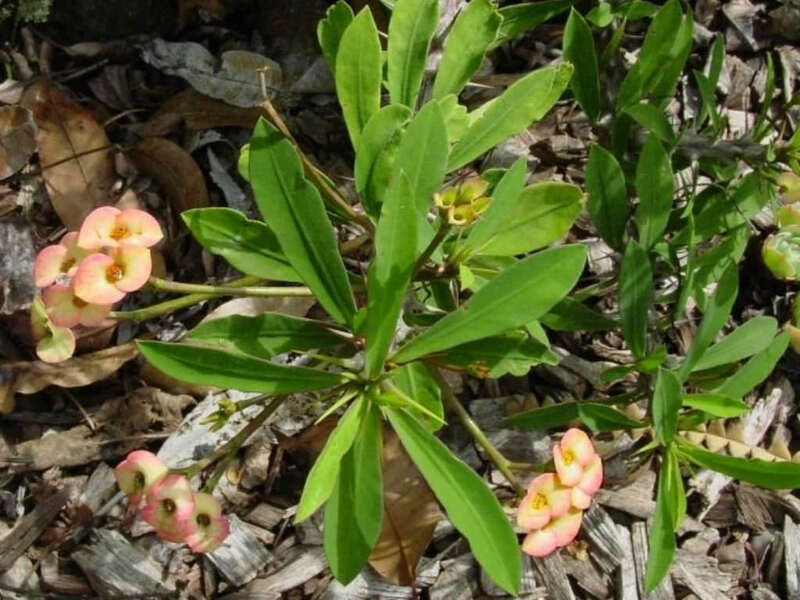 A tough plant, Crown of Thorns is a good choice for a seaside location with salt spray or soil with a high salt content. 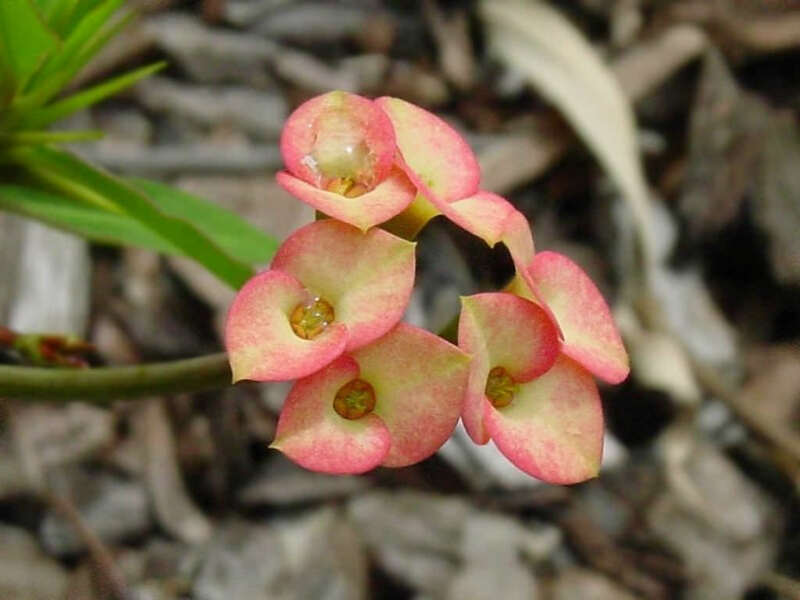 If you grow your Crown of Thorns as a houseplant, place it in a south- or west-facing, uncovered window, ensuring it receives maximum sunlight. 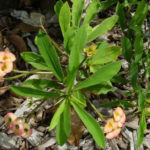 Although the plant is drought tolerant, you can induce your plant to retain its leaves and bloom frequently by watering it regularly and giving it an occasional dose of fertilizer. Check fertilizer labels and choose a basic, balanced formula without added micro-nutrients, since the plant is sensitive to boron. 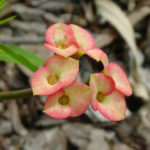 Euphorbia milii var. roseana is native to Madagascar.